Luxerious apartament in a beautiful condominium with all necessary facilities to feel relaxed. Angelo's apartment is a high class standard place where one feels like being at home. Everything you need in daily life is there not mentioning the quality and condition. Angelo is a great host ready to serve with his best help and advise whenever needed. We spent 10 days in 2nd half of September. Weather was extremly good with sun and fresh breeze to feel comfortably. Nice and cosy swimming pool which is in the area of condominium was unfortunatelly closed as fm September 15th. Nevertheless one can enjoy beach instead which is 300 m across the street. Generally the place is quiet and safe at least at that time of season. Hello Krzysztof, many thanks for the review! "Very nice apartment, clean with all of the modern conveniences you could ask for. Located close to the pool which was much appreciated by the children. Very secure gated complex. Spacious balcony outside for relaxation and meals. Good base for exploring the surrounding area (Taormina 30 minutes drive, Etnaland water park 1 hour, Mt. Etna 45 minutes). Would definitely recommend to friends traveling to Sicily." "The Apartment was very beautiful, clean, well equiped and nice modern furnished. Also the surroundings were top, as it is close to Taormina, Catania and Mount Etna. The stay was very pleasent and the owner was very kind and helpful." We spent 1 week in may and we were very happy with the really nice, very clean and perfectly equiped apartment. Very modern and high quality furniture with all kitchen equipment - perfect. Angelo and his parents are lovely owners. The big balcony and terrace are very nice. Pool was not open in may. Apartment is in an close area, area outside is not well kept. We will recommend to our friends and like to come back again. Belle résidence très bien entretenue, bien sécurisée et bien située pour les visites, Taormina, Etna et autres... Un appartement très bien équipé, agréable et propre. Belle plage de galet à proximité. Seul point négatif, les routes environnantes semblent à l’abandon, sales ( poubelles qui traînent) et une vitesse excessive mais c’est le cas pour une grande partie de la Sicile! Nice, cosy and clean apartment. Value for money. Nice and well equipped apartment. It had everything we needed and was very clean. The environment was calm, not many people at this time of the year. It was also nice and clean. The owner, Angelo, was very friendly and helpful. Our flight was delayed, but he waited patiently in the apartement for us. Thank you, Angelo. 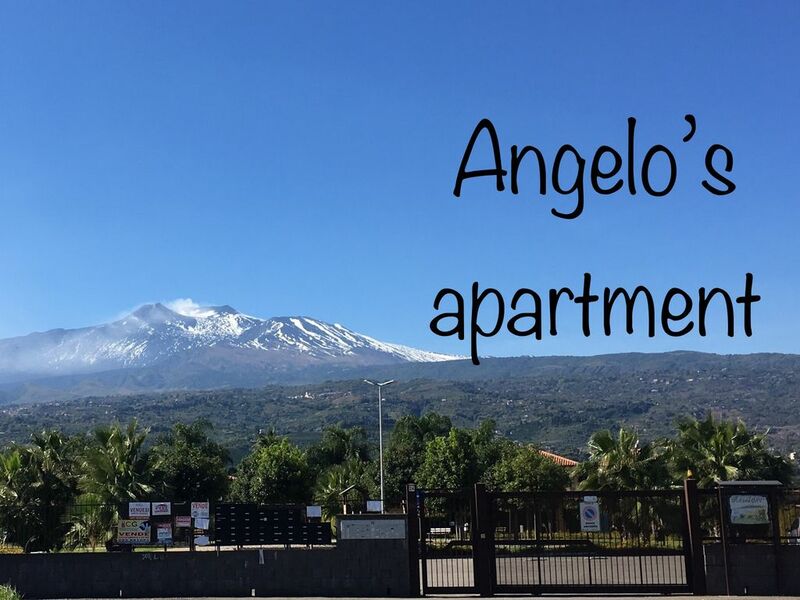 The apartment is god situated for trips to for example Etna and Taormina.